Congratulations to Marena Malone, daughter of Rica Malone, Customer Service, Corporate, Canonsburg, PA. Marena is the Group 1 winner for the NRCA Children's Art Contest. 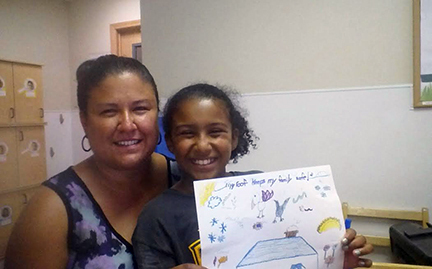 ""I wanted to show all the things my roof protects me from and how important it is to have a roof." Great job Marena - we are proud of you and the other CentiMark children who submitted artwork.